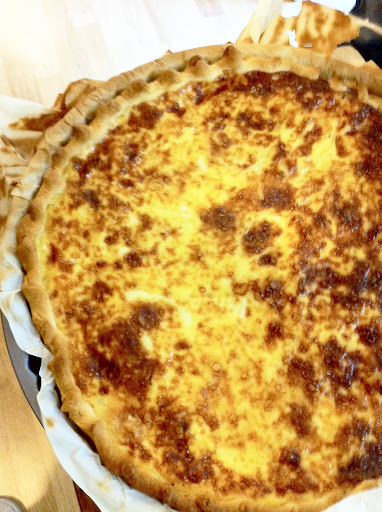 Quiche Lorraine is the most famous quiche in the world. THE classic quiche recipe. 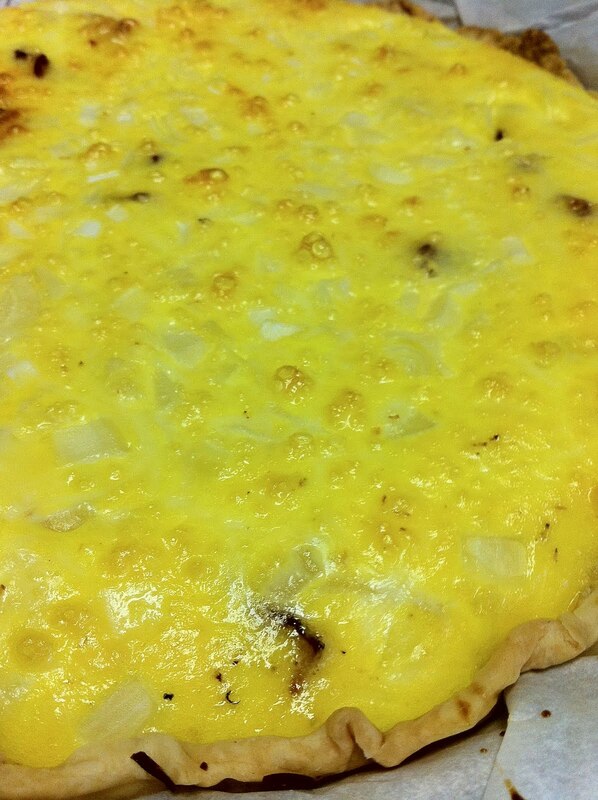 Every variation on quiche follows this standard… 1/2 lb (200g) meat, 1 small onion and 1 1/2 cups (200g) cheese. Smothered in this amazing egg, cream, milk and nutmeg mixture. In the unbaked crust toss your solid ingredients. In this case : crispy bacon, onion and swiss cheese. Then whisk your quiche mixture and pour it over the solid ingredients and pop it into the oven on the middle rack. Remove it from the oven when it’s golden on top and solid in the middle. Try these other great QUICHES by me and my friends!!! This one got a little crispy!